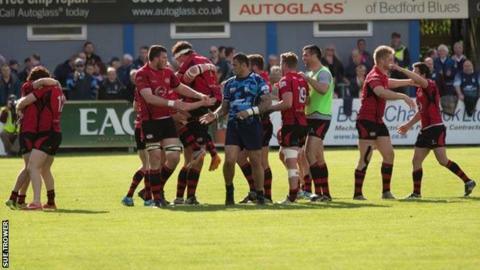 Jersey director of rugby Harvey Biljon says the club must not get carried away by their position in the Championship. Jersey are seventh, having been fifth earlier this month - the club's highest position in their three seasons in English rugby's second tier. "We know our season's about stabilising in the Championship," Biljon said. "We've not got carried away about where we are, but we know that we're making improvements and still want to be pushing as hard as we can." "We've been pretty realistic about where we're at as a squad," Biljon told BBC Radio Jersey. "Wherever we finish this season we're not going to be happy because we're always going to want to improve. "We've already felt this season that we've missed out on opportunities and that's a good sign that players want to go away and not miss those opportunities in future games."